Kelly rules that ODCE’s application to have court inspectors appointed to #INM should be allowed. 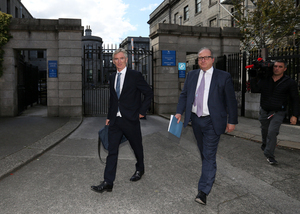 ODCE has produced necessary evidence that INM’s affairs may have been conducted unlawfully, in large part due to Leslie Buckley’s dealings with Denis O’Brien while he was INM chair. They may be some time. 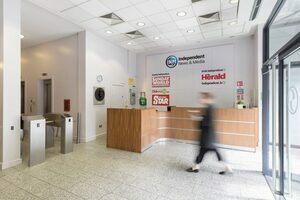 In a 76-page judgement, President of the High Court, Mr Justice Peter Kelly has approved the application by the Office of the Director of Corporate Enforcement [ODCE] to appoint inspectors to Independent News and Media [INM], publishers of the Irish Independent, Sunday Independent and Evening Herald. 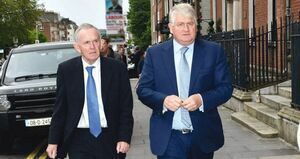 In its application, the ODCE alleged there was a culture of deference towards INM’s major shareholder, Denis O’Brien, and it had a suspicion the affairs of the company were interfered with for his benefit. 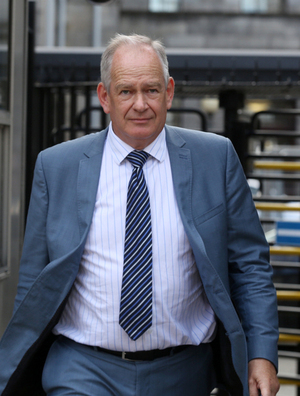 Judge Kelly agrees to delay appointments of inspectors until Thursday morning. Posted in Misc and tagged High Court, INM, Mr Justice Peter Kelly, ODCE at 2:59 pm on September 4, 2018 by Bodger. Their logo looks like that of an evil villain group like Spectre or something. Or an octopus giving birth to another octopus. Meanwhile the Indo is introducing a paywall and Dinnys bonds in Digicel are considered junk. I think those OReillys have had the last laugh. 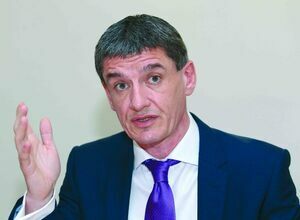 As part the proposed bond swap,Digi has issue new bonds. This decision is not unexpected,if Digi issued its “new bonds” (swap) last week when announcing it,then this investigation which was pending,would not have to have been revealed ! Will try track down the bonds(if they issued),which are governed by US Securities laws,regarding disclosures off ongoing litigation/investigations. Keep this up lad, i do enjoy dinnywatch. In fact it should be a proper feature on here. Buy him or her a pint and report back to us. Al Capone was finally convicted and sent to jail for cheating on his taxes. Do ye not get it lads?